Facebook introduced Instant Articles for its iPhone application with nine publishing partners last month. Facebook introduced Instant Articles for its iPhone application with nine publishing partners last month, and The Wall Street Journal’s CMO Today blog reported that those partners are on the verge of cranking out content. The Atlantic: The magazine plans to make most of its content available via Instant Articles, and president and chief operating officer Bob Cohn told CMO Today, “We’re excited for the next phase. At the outset, we’ll be putting most of our content into the feed and will closely monitor the effect. We are ready to change how much we make available. He added that AMC science-fiction series Humans is lined up as an advertiser for The Atlantic’s Instant Articles. NBC News: The broadcast network’s news arm plans to post 30 to 40 Instant Articles per day. BuzzFeed: CEO Jonah Peretti told CMO Today the media site will push as much content as possible to Facebook via Instant Articles, adding that it plans to initially make those articles available only to “select groups of users” in order to study reactions to them. 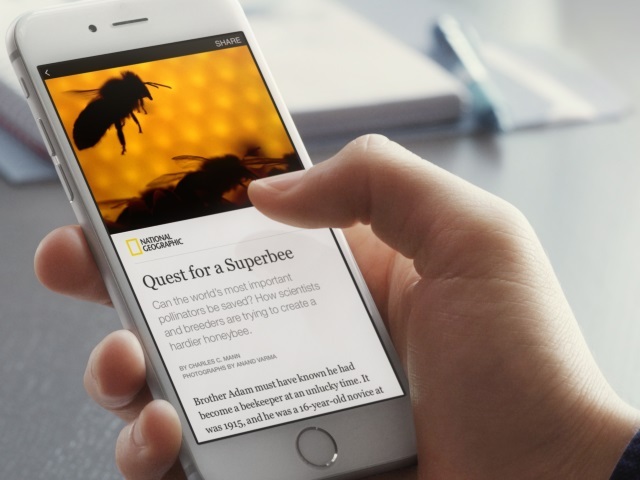 Readers: Are you looking forward to Instant Articles on Facebook?